‘Admiral Kuznetsov’, Russia’s only aircraft carrier, is normally off limits for civilian visitors. But thanks to RT’s 360 video you can experience what being on its flight deck looks like. 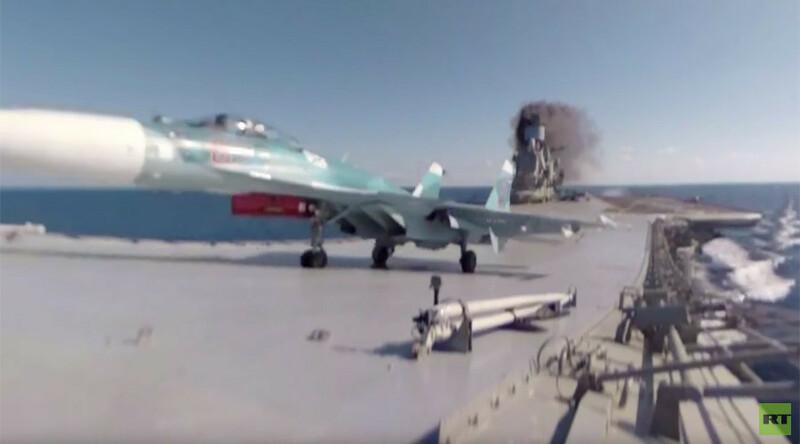 Shot with a panoramic camera, the video shows a Sukhoi Su-33 fighter jet being prepared for take-off by the flight deck crew. Later it shows the moment when another warplane zips past the camera and off the sky-jump ramp. The footage was taken during the ‘Kuznetsov’s’ ongoing deployment to Syria’s shore. RT previously shot 360 videos in historic Syrian city of Palmyra, on Red Square during the reenactment of the 1941 military parade and Earth’s orbit in and around the International Space Station, among others.